In small bowl, combine all dressing ingredients; mix well. Refrigerate while cooking pasta. In 2 quart saucepan, cook pasta to desired doneness as directed on package. Drain; rinse with cold water to cool. Drain well. Meanwhile, cook bacon until crisp. Drain on paper towel. Crumble bacon. 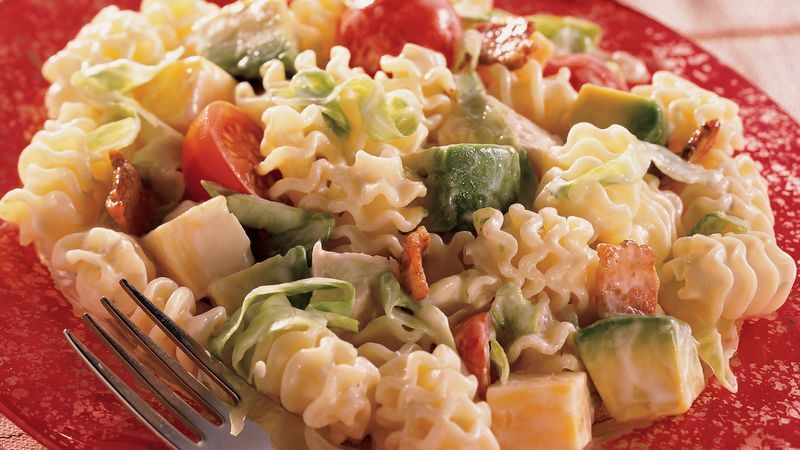 In large bowl, combine cooked pasta nuggets, bacon and all remaining salad ingredients. Just before serving, pour dressing over salad; toss gently to coat.